Perhaps one of the biggest surprises of the NBA this season is just how good the Milwaukee Bucks are. Sure they have an MVP caliber player in Giannis Antetokounmpo, but that's not always enough. 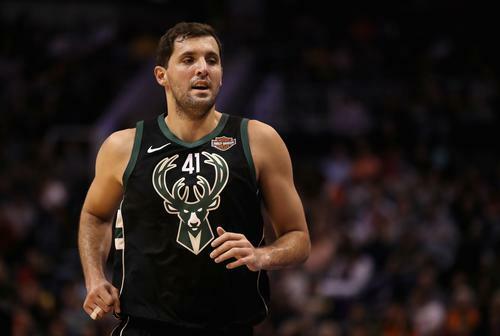 The pieces around the "Greek Freak" have been phenomenal and one of those players is Nikola Mirotic who was acquired via trade with the New Orleans Pelicans. It was a deal that showed the Eastern Conference that the Bucks are ready to make the jump and go to the NBA Finals. Obviously, they'll have to fend off teams like Toronto, Philadelphia, and Boston but there quest is a noble one regardless. Unfortunately for the Bucks, the team will have to go without Mirotic for the next 2-4 weeks thanks to a broken left thumb. Since Mirotic joined the Bucks in February, the team has gone 10-4 and currently have a three-game lead on the Toronto Raptors for first place in the Eastern Conference. With a record of 53-18, the Bucks are not just the best team in the conference but the best team in the league. They are one of those teams who can compete with Golden State and make some waves in the playoffs. Their quest will be made that much harder without Mirotic in the lineup.